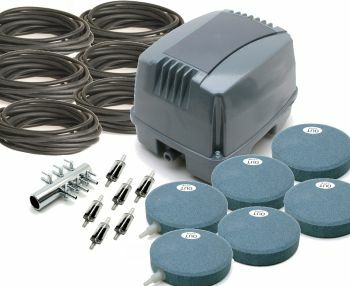 Water Garden's AP7200 Air Pump Kit will help to aerate and circulate ponds up to 72,000 Litres. 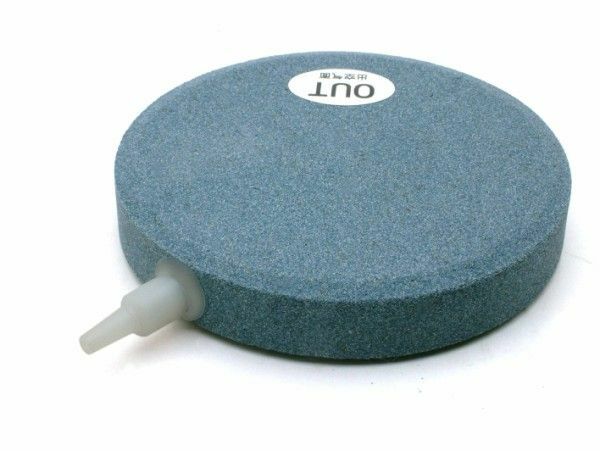 The Aerator pump will add vital oxygen during the summer time but will also help to keep pockets of water ice free during the winter months, allowing toxic gasses to exchange at the water surface. Ideal for aerating ornamental, fish and Koi stocked ponds. 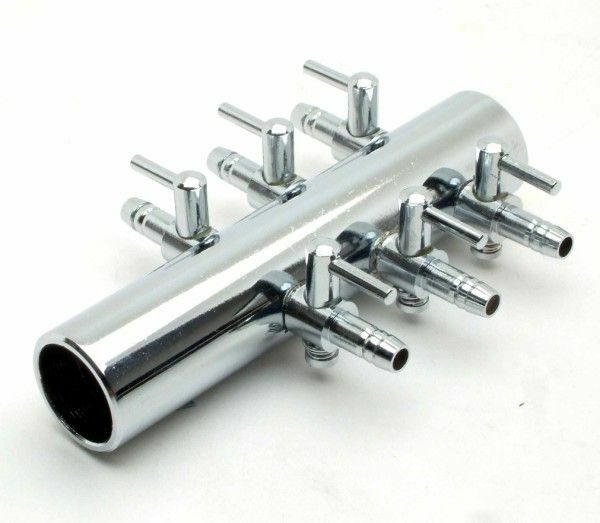 1 x Rubber connection pipe and clips for 6 way steel manifold connection. 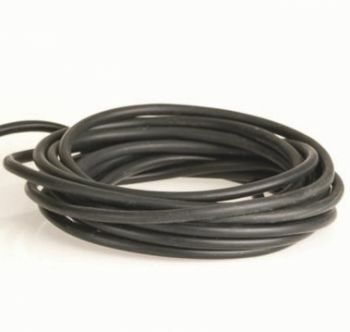 230V Cable Length: 1.5 metres. Air Pump warranty Period: 12 Months. 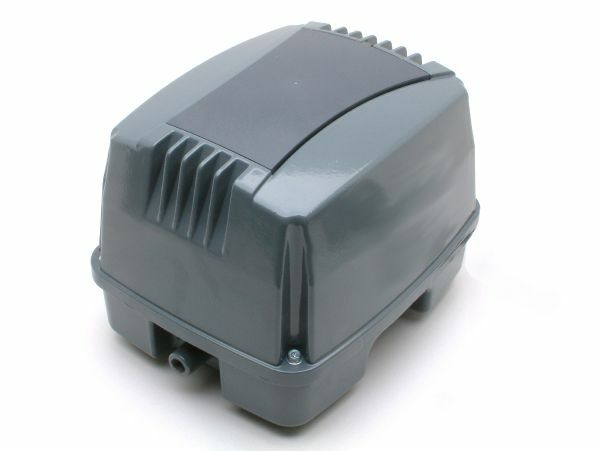 Air Pump Dimensions: L265mm x W215mm x H198mm. 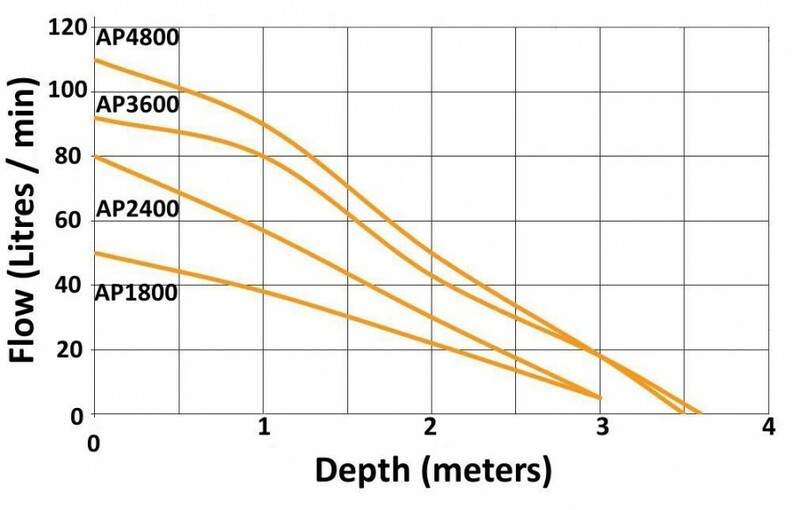 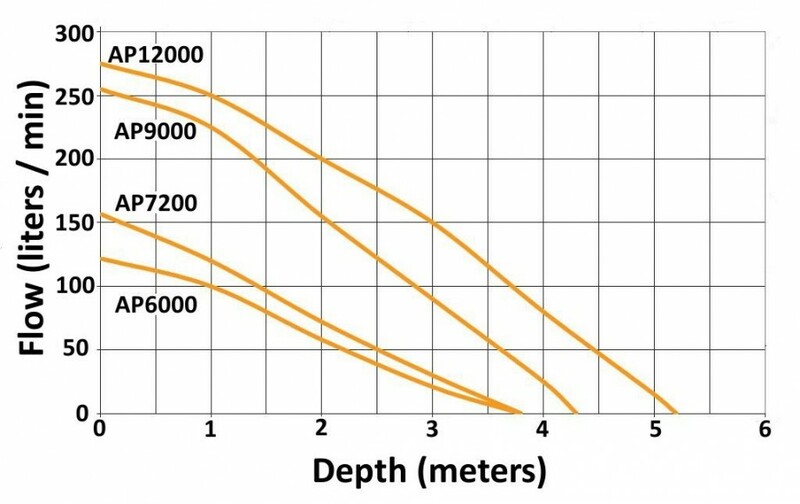 The AP7200 can be connected with up to 6 x OASE Oxytex 1000 CWS Pond Aerator units for oxygenation, circulation and biological filtration of the pond water.